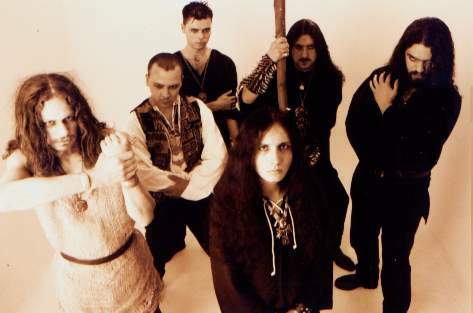 MYTHOLOGICAL COLD TOWERS emerged in the beginning of 1994 after mythical battles among the ruins of desolate sanctuaries, SAMEJ (VOX), NECHRON (GUITARS), FLAGELLUM (GUITARS), LEONARD (BASS), AKENATON (KEYS), HAMON (DRUMS), beating the air with a scepter that resulted in a thundering, dark DOOM METAL, intoning profound songs, which remit us to antique tales full of darkness and enigmas. In 1995, MYTHOLOGICAL COLD TOWERS featured on the compilation “THE WINDS OF A NEW MILLENIUM”, by DEMISE REC., being pointed out by the critics and the public as the band which stood out in the year. The song which featured in the compilation was “GOLDEN BELLS FROM ETERNAL FROST”, an authentic majestic hymn. 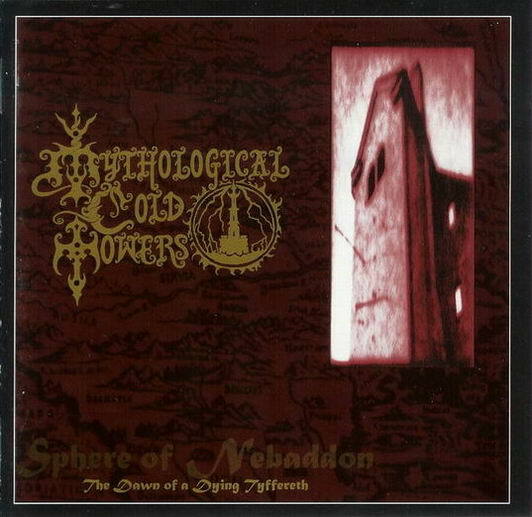 In 1996, MYTHOLOGICAL COLD TOWERS released their first album “SPHERE OF NEBADDON - THE DAWN OF A DYING TYFFERETH”. With an unique music, the album results in a perfect combination of majestic plains and desolate fields. SPHERE OF NEBADDON has an unique aura, it is a cold, aloof and opulent metal with orchestral parts, such elements had never been present until then in a brazilian underground band. Splendid and dark tales of ancient empires, lost continents, dark mythology and lost wisdom are concepts of SPHERE OF NEBADDON album. This material caused excellent reaction in the underground scene and lots of reviews announced MYTHOLOGICAL COLD TOWERS as the new brazilian revelation, they also characterized the band by their different proposal in relation with the others brazilian acts, which are more known by playing DEATH/BLACK. In 1998, AKENATON leaves the band, so FLAGELLUM decides to replace him playing keyboards and SHAMMASH joins the band playing guitar. 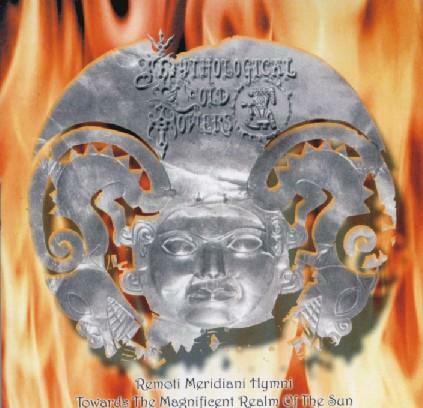 In July 2000, MYTHOLOGICAL COLD TOWERS released “REMOTI MERIDIANI HYMNI (TOWARDS THE MAGNIFICENT REALM OF THE SUN), which is an authentic ode about the Aztlan and Kari’s war; a hymn to the ancient pre-Colombian pantheon, to the brilliance of the blood and gold’s empires and to the power of the sacred dynasties... REMOTI MERIDIANI HYMNI has an excellent production, and songs which tell about ancient bloody rituals, a shout of war to the Hebrew God, an expedition to the palaces which are covered with blood and magic of the tribes in Amazon.... Majestic epic metal with folk elements, REMOTI MERIDIANI HYMNI is received acclamation by the dark underground scene. MYTHOLOGICAL COLD TOWERS is recognized as a big name in the Brazilian scene. In 2001, Leonard decides to leave the band and in his place entered Lord Morpheus. After five years MYTHOLOGICAL COLD TOWERS are releasing their third album “THE VANISHED PANTHEON” with five long epic tracks now more intense and chaotic but keeping the same epic way from the previous releases. The lyrical conception is about a relationship of lost continents, like Lemuria, Atlantean with the ancient pre-colombian civilizations and counts with Lord Mephyr at bass, replacing Lord Morpheus, who left the band recently. This album is released by the labels FIREDOOM MUSIC in Europe and by SOMBER MUSIC in Brazil.